Three Cheers for the Losers in the Video Game Wars. They're the Best. Ask a Sega Dreamcast owner. Ask a Nintendo GameCube owner. They'll tell you something that is true: it's a pleasure to be the owner of a game console that's in last place. It also kind of stinks, because your console gets the fewest games and your friends mock you all the time. But the fact is that nothing brings out the best in gaming companies than when those companies are getting their asses kicked. Today, from Germany, we saw exactly that. Sony, the former kings of gaming, two generations running, have taken a beating for the last several years. First it was the upstart Wii that smacked them around when the smacking was supposed to happen the other way around. Then the Xbox 360 ripped past the Wii here in America and it kept PS3 as the last-place console. This year's been really ugly for Sony. They've had trouble winning any sort of battles in the gaming market share wars. It's not like the PlayStation Portable ever caught the Nintendo DS anywhere outside of MonsterHunterNation, but the PSP's successor, the Vita, has been labelled as DOA since it arrived. If you'd asked me, I'd have told you that, because of that, this was the year to get on board with Sony. Their backs were against the wall. Maybe you skipped GameCube and didn't know this was how it worked. Too bad. You missed some crazy experiments like the Game-Boy-GameCube-connected four-player Zelda game and a pair of first-person Metroids, plus one of the most beautiful games ever made. Last place performances produce radical ideas like the Nintendo Wii; having your powerful console get flattened by the Wii produces exciting technology like the Kinect. So here's what's happening at Sony, what we saw proof of in Germany. Sony takes a drubbing about as well as Rocky Balboa ever did and is fighting back. Sony isn't folding. Sony isn't rushing to do the easy thing and just fall in line, hope for the best and play it safe. Nah, Sony sees its Vita struggling, so they announce today that if you buy any of their games on PS3 that are also on Vita, they'll give you the Vita version for free (and, since the games supported by the Cross Buy system are pretty much the same on Vita and PS3 and will probably use cloud-saves, we'll really get a portable-PS3-effect out of this). PlayStation 2 may have been a cool console to have when it was the market leader. But Sony as the market-lagger? They're just wonderful. That Vita seems to be fading? They'll put a Killzone on there. And get a good-looking Assassin's Creed on there. And a Call of Duty (um... warning: made by the people who made a really bad Vita FPS) and, oh, look, the smart people who made LittleBigPlanet will make their next game not for the PS3 but for Vita too. Bonus fact: that new game looks terrific. This fall, the steamrolling Xbox 360 will have some cool games, sure. And they will next year, too. But how can any gamer's heart not be warmed by a Sony that sees the threat of defeat around the corner and answers it with a game about a little boy who you can only see when he walks in the rain? Kinect is the hot thing, so Sony starts making nutty things like magical books and says, hey, our Wii-Remote-like Move thing we've got? We'll make a send-up to schlocky teen-horror movies with the Move, thank you very much. They'll make a beautiful new sidescroller while they're at it. Sure, Sony is the company of the many, many God of War games. (Let's add multiplayer to the new one!). 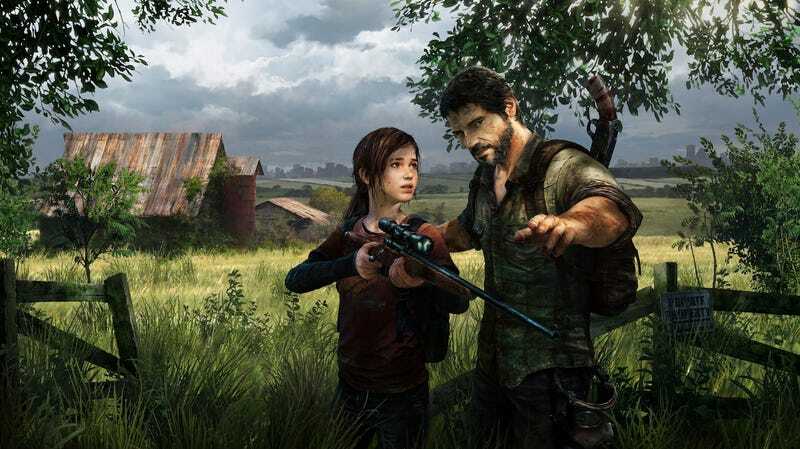 Sure, The Last Of Us, as lovely as it seems, would only be seen as an artsy risk in a medium that may as well define innovation as a shooting game that doesn't feature a battle with helicopter. But Sony... wow. I mean, have you seen the kind of games they've been putting out lately? PlayStation 2 may have been a cool console to have when it was the market leader. But Sony as the market-lagger? They're just wonderful. It's almost as if we gamers would all benefit from Sony staying in last place, huh? Although, all things being equal, Nintendo and Microsoft might benefit from a kick in the pants, too.